Are you are still scrambling around for ideas on what to buy for the guy in your life? My husband is a fairly simple man who tends to prefer useful, practical gifts over gadgety or trendy things. Any type of clothing or outerwear is usually a winner for him. I wanted to alert you all that Haggar is having a huge sale on December 9th, offering some of their most popular dress and casual pants for under $30. 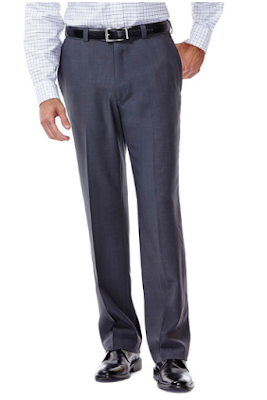 Haggar is one of our favorite men's clothing brands, and my husband has many pieces in our closet right now. Whenever I think of the Haggar brand, I think of a well-dressed, sophisticated man. We generally purchase the brand at JCPenney, Kohl's, or Belk. This time we browsed the Haggar site and found exactly what he needed without getting up from the couch. Also, their prices are way better directly on their site. I was concerned about a specific fit of some of the pants, and tested out their live chat feature. I was quite pleased with how professional and helpful the rep was. My question was answered immediately, and she sent me some links of items that matched what I was looking for. I'm impressed with their excellent customer service. Let me tell you about their big sale! The following styles are perfectly priced for gift-giving, and all under $30. 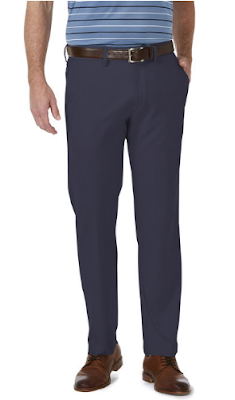 #1 Dress Pant in America: E-CLO (made from recycled water bottles) $27.99 These are a great addition to any man's weekly work attire and can go from day to night. And that price?! 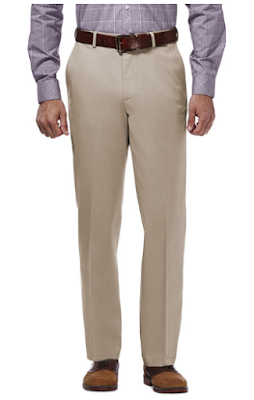 #1 Casual Pant in America: Premium No Iron Khaki $29.99 This one is my husband's favorite, and comes in a variety of colors. They wash really well and are a staple in any man's wardrobe. Cool 18 Pro (Wick Dry, UV Protection Lightweight Pants) $29.99 These are lightweight and can go from the office straight to the golf course. All of these styles come in a variety of colors. 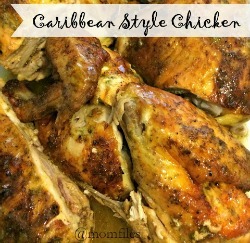 My husband has heavily hinted that he needs each style in every color. I guess I better make sure to hit up that sale on the 9th! The Haggar website is super easy to maneuver. It's as if it was created with a man's shopping brain in mind. You know, get-what-you-need-and-go! 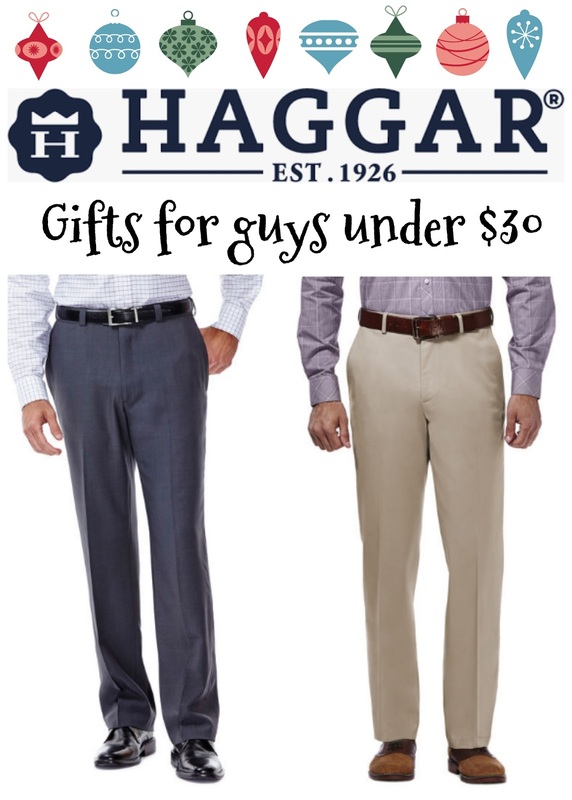 Don't miss out on these great deals from Haggar.com on December 9th. The good news is that they always offer great sales and deals, so check the site often. Follow Haggar on Facebook and Twitter for the latest deals and updates. Jeans! I need new blue jeans! Hint! Hint! Well, slacks would work, I guess.